This chapter investigates the interrelation between pre-trade quote transparency and stylised properties of order-driven markets populated by traders with heterogeneous beliefs. In a modified version of Chiarella et al. 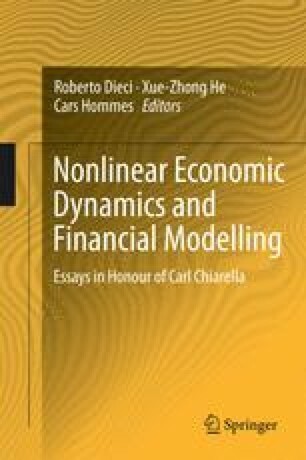 (2009) model we address the ability of the artificial stock market to replicate the empirical phenomena detected in financial markets. Our framework captures negative skewness of stock returns and volatility clustering once book depth is visible to traders. Further simulation analysis reveals that full quote transparency contributes to convergence in traders’ actions, while exogenous partial transparency restriction may exacerbate long-range dependencies.